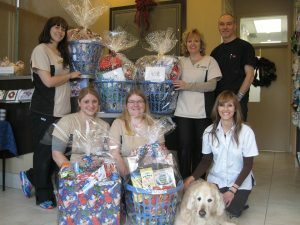 We are hoping to make it a better Christmas for two Pickering families! What a fun time we had getting Christmas gift baskets ready for our 2 sponsored families. A special thanks to my great staff for all their hard work in organizing this for the families. Wishing our sponsored families a very Merry Christmas and all the best in the New Year!